Ramsey House was designed in 1937 by Roy Grounds for his future wife Betty Ramsay. It is a seminal house in the evolution of Australian and Victorian modernism, having a significant influence on Robin Boyd and other architects of the period. Nestled into the cliff above Ranelagh Beach in Mt Eliza on the historic Ranelagh Estate conceived by Walter Burley Griffin, Ramsay House is a unique example of interwar architecture. It was designed in 1937 by Roy Grounds, one of Australia’s most eminent architects, and is now on the Victorian Heritage Register (VHR H2181). This basic cottage was originally intended as a place for Mrs Bettine Ramsay and her two young sons to spend care-free summer weekends and holidays. In addition to its architectural significance, the house has a fascinating story to tell, and is now being cared for by Victoria Grounds who has undertaken an award-winning restoration of the property. 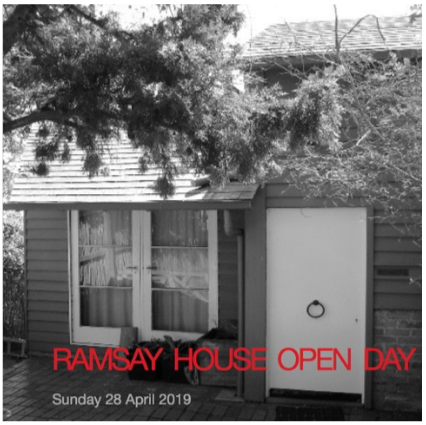 Ramsay House will be open to the public for the first time in its 82-year history, for one day only, on Sunday 28 April 2019. Visitor numbers are limited and access will be staggered at one-hour intervals throughout the day, so it is recommended that you book early in order to secure your ticket and preferred time slot. Please be aware that due to the historic nature of the property, entry conditions apply. For further information, click on the link below. All proceeds from ticket sales go direct to continuing the restoration of Ramsay House.